Metadata is the common term that is used in the video advertising and marketing online. Metadata is all about the data and organizing the information. Metadata helps you to get good rankings on search engine results. It helps the search engines to analyze the data and understand the WebPages to deliver the requested information to the users. It helps in identifying the relevant pages across the search engines. Relevancy plays a vital role in the search rankings. The metadata included with the tags, page description, video description etc. Video Metadata is essential for the search engine optimisation. 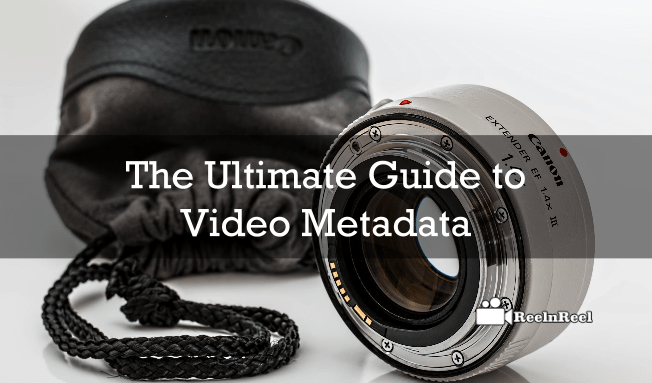 Video metadata is the informative data about the videos. It also included the data related to the tags, video description, titles etc. It helps the videos to get identified in the search results. These metadata must be optimized in order to ensure better rankings across the search engines. The metadata standards help in establishing the better understanding of the data to make it useful on a proper way of interpretation of the data by its creators and as well as the users. There are many available standards in metadata which help in developing the different fields. Different metadata schemes are developed and maintaining by the various organizations like Dublin Core metadata initiative. Metadata editor is a computer-based program which allows the users to edit and view the metadata on the computer screen. It is like interactive software which also saves the graphical files. The metadata viewer use in the metadata editor for viewing the tags. There are several metadata editors for the different platforms. Users make their choice basing on the availability of their platform. Video metadata viewer is generally used in the video metadata editor to view the metadata of the video. It is just like metadata editor that is programmable which is interactive with the users. The metadata is of two types. The first one is automatic video metadata which can collect from the software or any other device. And another one is manually written one which provides the information about the video content and the data included in it. The automatically collected video metadata from the software requires the different set of software and much software are already available online to view the metadata. The automatically stored metadata store the information that is created by the camera like shutter speed, GPS coordination and other things in the video file. The general standard format of the exchangeable information file format data can’t be edited after the capturing. The manually written video metadata can be in the transcripts of the conversations and other descriptions of the text. These entries can be easily understandable by the computers which provide the better and efficient searching. It helps in gaining good visibility across the search engines. Most of the present metadata automatically created one. But there is a great importance for the manually written metadata as it can be more relevant and efficient in gaining the search engine rankings online. Therefore metadata is the heart and soul for video visibility across the search engines online. So, try different software’s but go for the manually written metadata if you need higher visibility scores online.